Krygier Design, Inc. is a family owned and operated company based in Wood Dale, IL that specializes in the design and manufacturing of industrial automation, custom machinery and CNC machining. Founded in 1994 and steadily growing ever since, we are constantly and consistently working towards increasing our capabilities in the fields of precision mechanical engineering and manufacturing. We are proud to offer a wide variety of services including; CNC machining, contract manufacturing, PLC programming, panel building, reverse engineering, solid modeling, drafting & welding. 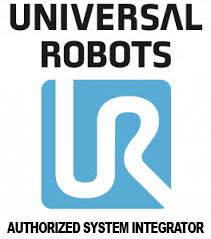 As an authorized integrator for Universal Robots, Krygier Design Inc works closely with Universal Robots to provide collaborative robot solutions to our customers.